Berni Goldblat is the director of Wallay (which we recently reviewed on Cinema Escapist), a moving coming-of-age story about a French-Burkinabé teenage boy named Ady (played by Makan Nathan Diarra). 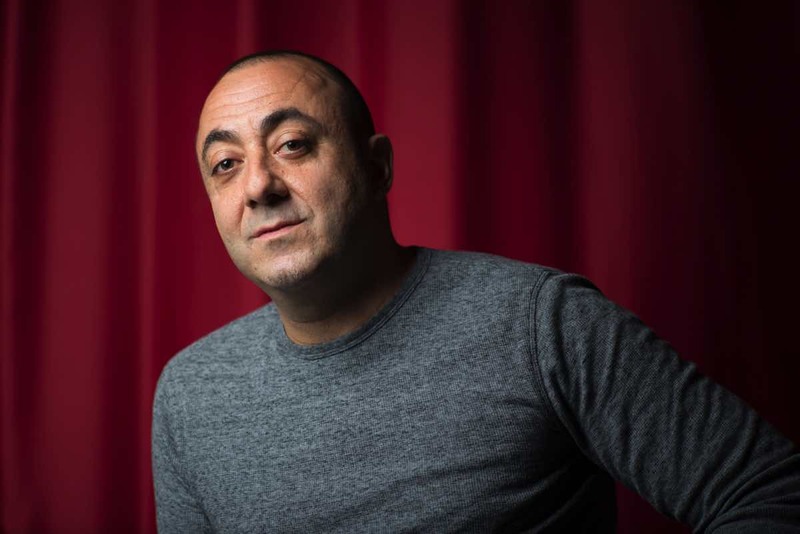 Born in Sweden to a Swiss mother and a Polish father, Berni has lived in Burkina Faso for over 20 years and produced and directed numerous projects from West Africa. His mixed upbringing and multi-cultural experiences cultivated a curiosity for experiences other than his own, and this has shaped many of his projects — including Wallay. Cinema Escapist caught up with Berni for an exclusive interview and had a wide-ranging conversation, where we learned about his personal connection to the film, his different organizations in Burkina Faso, and his thoughts on the state of African Cinema. You have done other films set in Burkina Faso — why did you decide to make this fish-out-of-water story, that tackles an identity crisis, to explore the country’s culture and people? The first script was written by David Bouchet more than 10 years ago, and I rewrote it. But [the film] took 7 years to make, so the script changed a lot. The story was very interesting to me because I think that nowadays it is important to raise questions of identity, especially when most of us are from different origins and we don’t know that this is a richness and not a handicap. My father was from Poland, my mother was from Switzerland, I was born in Sweden and for more than 20 years I have been in Africa, so this question is something inside myself. With the rise of nationalism and ideologies that want to close borders, people tend to stay within their own community. So for me, this was important because it’s a story to the contrary. How were you able to authentically capture the village life in Burkina Faso? I could not have done this film without knowing the country. I am both Swiss and Burkinabé (and also have dual nationalities). I speak the language ‘dyula’ that you hear in the film. Most of the places you see in the film are places that I know and have visited before. The crew consisted of people with whom I know well, that I trust and have worked with for a long time. In comparison to a lot of other African films I have seen, Wallay is quiet and a lot less dramatic. Was that a tone you wanted to establish from the very beginning? This is why I work a lot with my actors, who are a mixture of professionals and non-professional. For example, the main actor, Makan Nathan Diarra, has never done a film before in his life; we met him on the street in Paris. And Hamadoun Kassogué, the actor who played Uncle Amadou, is a well-known professional actor from Mali who is doing a lot of movies and theatre. Your film is being shown everywhere, including here in Kampala, Uganda, and at several international festivals. What would you want these audiences around the world to take away from the film when they watch it? I am very happy that the film has traveled because this means that it tells a universal story — which is the very best gift I could receive. The film has been shown in South Africa, Uganda, Iran, Denmark, America… It was in Berlin at the world premiere, I’ve showed it in Germany at the opening of the Africa Film Festival, it’s playing at the London Film Festival , and then I go to Dakar in Senegal because they are releasing it theatrically. 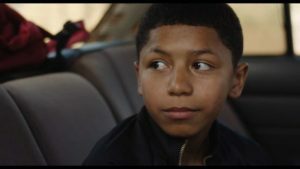 Wallay is a coming-of-age film about opening yourself to the world and the film itself is opening to the world, so I could not be more happy it is reaching a wide audience. But it is not an awareness film, or a message film, and so I think each one of us takes away something different from watching it. It depends on where you are — for example, here in Europe I saw the youth completely identify with the main actor, and in Africa they identified more with the supporting roles like his cousin Jean. So there are very different perspectives. For many years you’ve been a juror at the African Movie Academy Awards, which are considered to be the most important and prestigious film awards in Africa. So what are your thoughts on the state of African Cinema right now? Africa is big and so diverse and the people face different realities, so it’s difficult to say something about Africa in general. But I would say, South Africa is a standout in quality feature films. North African countries like Morocco, Algeria and Tunisia also have some good filmmakers and more means to make good films compared to some other African countries. 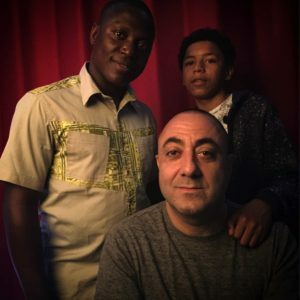 In West Africa, you can see the rise of a Documentary generation of filmmakers who are really dynamic and coming up with good-quality movies that are travelling worldwide. Nollywood is very strong and they have their own market with a sustainable economy around it, but still we don’t see Nigerian movies in major international festivals, which is a concern because I think they have everything that they need to do it. They just keep copying themselves all the time- it’s tricky. I also think we need to do more work on scripts in Africa. You think better scriptwriting would help things move forward? Yes, we have a lot of stories to tell but sometimes we have problems knowing how to tell these stories. Having a great idea does not mean you have a good film. The means is also a problem, because most of the good films have been edited in Europe, or they have had American staff. This is a problem because Africa has to have its own industry in order to be a global player and get economically prosperous. You founded the CINOMADE association and also run a production house in Burkina Faso. What major activities do you do within these organizations? There are three different organizations. The first, which is very important, is CINÉ GUIMBI, a theatre that we are refurbishing in Bobo-Dioulasso which was closed down in 2005; we have been campaigning and raising funds to reconstruct a new cinema on the ground of the old cinema. This is a big project, and something we are really fighting hard to happen. We are in the middle of the construction process and still looking for funds but we hope to open the cinema next year. The Cinomade association is a non-profit organization which mostly makes awareness films that have been creating debates around many kinds of issues for almost 20 years now. Then we have “Les Films du Djabadjah”, which co-produced Wallay and is more of a classical independent production company which was producing mostly documentaries, but we are going to start doing narrative feature films as well. It is a small company and we hope it will continue to grow because of the experience that we have had with Wallay and the attention it is receiving. Has Wallay been your most successful film yet? Yes. I did a documentary film in 2009 called The Hillside Crowd about gold mines and gold diggers in remote areas of Burkina Faso which did well. But it wasn’t not until Wallay that I have had cinema releases in France, Côte d’Ivoire, Belgium, Burkina Faso, Chad, Senegal and many more. So yes, it’s been the biggest release so far! 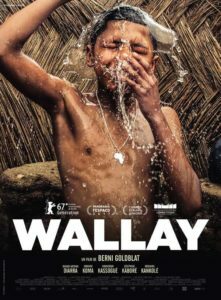 Wallay is currently playing at Film Festivals worldwide.